The Greatest Arena Run Ever Continues! 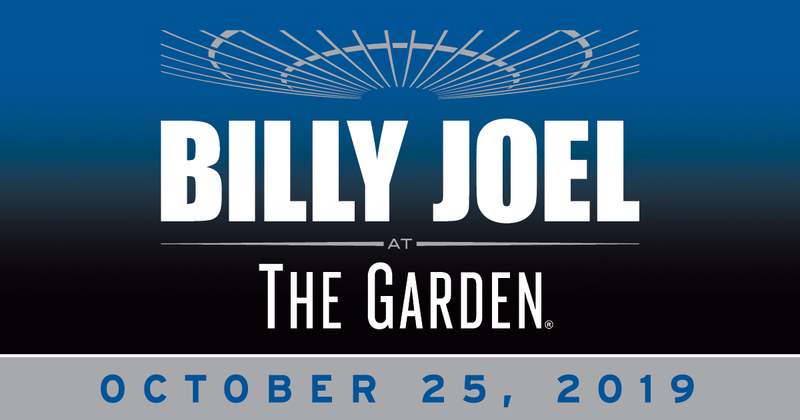 The Madison Square Garden Company announced today the unprecedented 69th consecutive show by legendary musician and MSG franchise, Billy Joel, on Friday, October 25, 2019. The October show is part of Joel’s residency at The World’s Most Famous Arena which began in January 2014 with him playing one show per month at The Garden. The October 2019 show will be Joel’s 115th all-time performance at The Garden. Citi cardmembers will have first access to presale tickets for the October 25 show from Monday, April 8 at 9:00AM (EST) through Thursday, April 11 at 10:00PM (EST) via www.citiprivatepass.com. Tickets for the October show will be available for purchase by the general public beginning at 9:00AM (EST) on Friday, April 12 via ticketmaster.com and by calling Ticketmaster at 866-858-0008. Tickets will also be available at the Madison Square Garden box office on Saturday, April 13. Prices range from $65.50 to $149.50. The concerts, part of the Montefiore Concert Series, are being promoted by The Madison Square Garden Company in association with AEG Presents and Q104.3 as a media partner. “Billy Joel: New York State of Mind,” the documentary film, explores Joel’s unprecedented franchise at Madison Square Garden. “Billy Joel: New York State of Mind” won five New York Emmys at the 61st Annual NY Emmy Awards in April 2018.